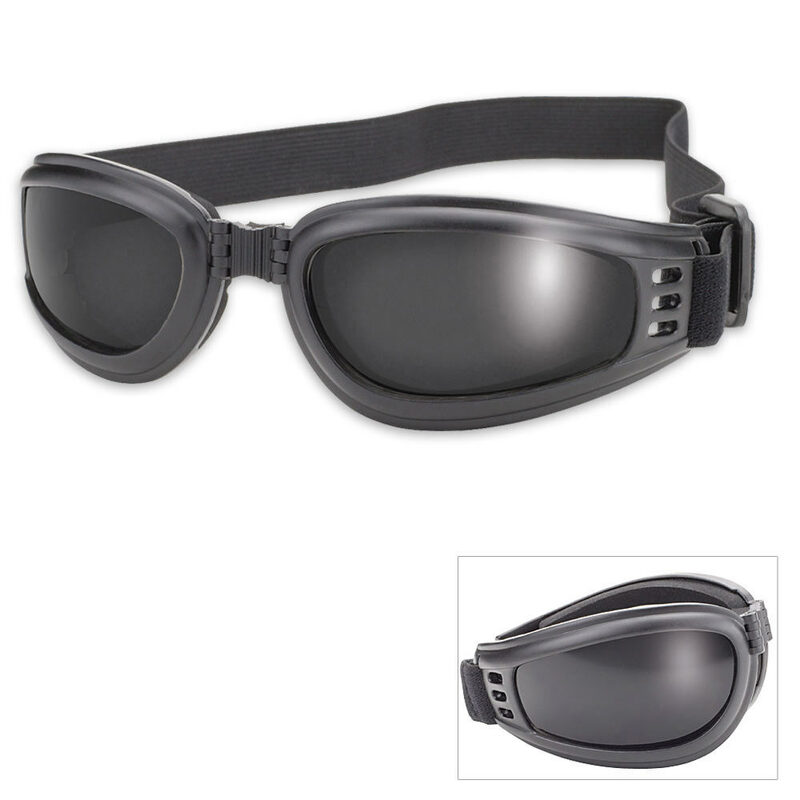 These folding, floating goggles are perfect for bikers and water sports. 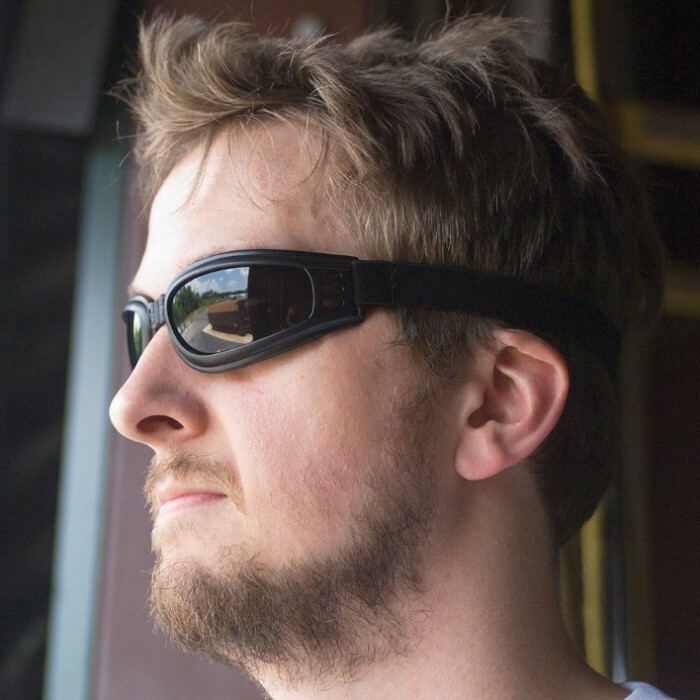 Constructed with 100% shatterproof polycarbonate lenses and a foam cheek wrap for a comfortable and glare-proof fit. These look like the "pug" brand goggles at the gas station so I just want to let you know that they are designed slightly better than those. I feel they're lighter and a slimmer design so they don't protrude awkwardly from your face. Comfortable, looks cool and serves a purpose. Thanks TS! I like them very much and would like everyone to have a pair. i got these to replace my ski goggles for walking. they do the job well so long as i have my contacts in. i may get additional pairs to put some prescription lenses in. as they are, they come with a bag and seem to be a great buy for almost 9 dollars. This is the 2nd pair of daytime riding goggles I've bought, they are a little less comfortable than I'd like them to be. The center piece has a foam square that doesn't line up with the nose very well. The seal around the eyes is quite satisfactory, as is the tint of the lenses. For ten bucks you can't go wrong, they're good goggles and I'm glad I bought them. Not bad, but they fog up more than the misty moors of scotland! These things are beast. Took a 6mm doing 350fps right to the right lens and not a single scratch on it. Nice product, I was kinda disappointed on how flimsy they were. Though they do serve well for Airsoft matches and sparing. They are quite comfy on the face too. I'm not sure if its worth the $9 with the shipping cost though.